Read an excerpt in The Paris Review. 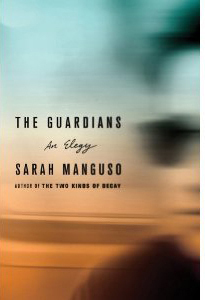 The Guardians from Sarah Manguso on Vimeo. can buzz even if you come late and it will not disrupt anything). also, feel free to bring refreshments and food. concrete floor (though we now have a carpet down). 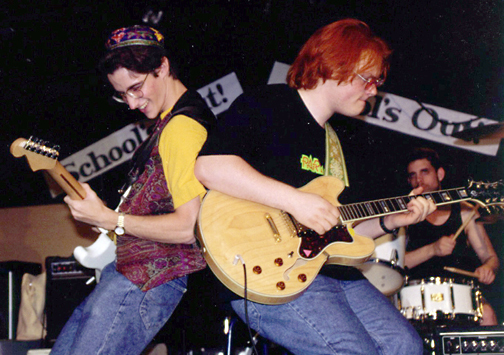 In December 2008, Scrapple Records issued a recording of Jeremy Woodruff’s Tunebook A as realized by the AB Duo (Seth Meicht and Jeremy Woodruff on saxophones and flute), a work dedicated to Wulfson. 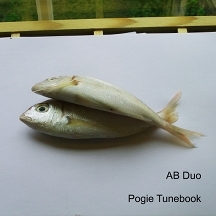 AB Duo’s recordings are available for purchase online. Inspired by the classic David Bowie pop hit, The E.A.R. Unit surveys fresh new works by young mavericks. The ensemble plays Daniel Wohl’s driving yet oddly sentimental +ou-, Oscar Bettison’s haunting Gauze Vespers veiled with simmering sonorities from dual toy pianos and other innovative orchestrations, Ryan Brown’s Our Friend Adam a verbal play on “Our Friend Atom” a short film that introduced the atom bomb to Ryan as a child who mistook atom to be Adam, Jamu for ensemble and electronics by Christine Southworth drawing from Gamelan melodies, Clay Chaplin’s Rememories, a structured improvisation using 3-D video as a meta-structure for the ensemble based on the relationship of time and memory, Harris Wulfson’s eclectic simplified violin solo 3 Bagatelles, and an exciting new work from the Carlsbad Music Festival Tsar, Matt McBane. These performances are funded in part by grants from the City of Los Angeles, Department of Cultural Affairs, The Aaron Copland Fund for Music, The James Irvine Foundation, LA County Arts Commission, the National Endowment for the Arts, the Argosy Foundation Contemporary Music Fund, BMI Foundation, Ann and Gordon Getty Foundation, the Amphion Foundation and other generous supporters. I’m coming back to NYC to do this joint solo show with Mr. James Moore, and it will be an oddly good time. Also, some of you may find it of interest that I’ll be doing the first NYC performance of Harris’ piece “3 Bagatelles”. It’s beautiful. I wonder if anyone still has a poster from this event? If I’ve left anyone off the performer list, please let me know! Soundcheck America’s show on Antheil was replayed tonight on NPR. This is the performance that got written up in the NY Times in June (link to NY Times or a .pdf printout). Harris gets a mention at about 17 minutes into the broadcast though they don’t play any of his work. The second half is about George Antheil’s Ballet Mecanique (after the segment on wine and music). Click on the link to the Monday, October 13, 2008 show, then click on the link on the right for the second segment of the show, Ballet Mecanique. Ultimately, I would like to have a library of his work and I need everyone’s help to do it.